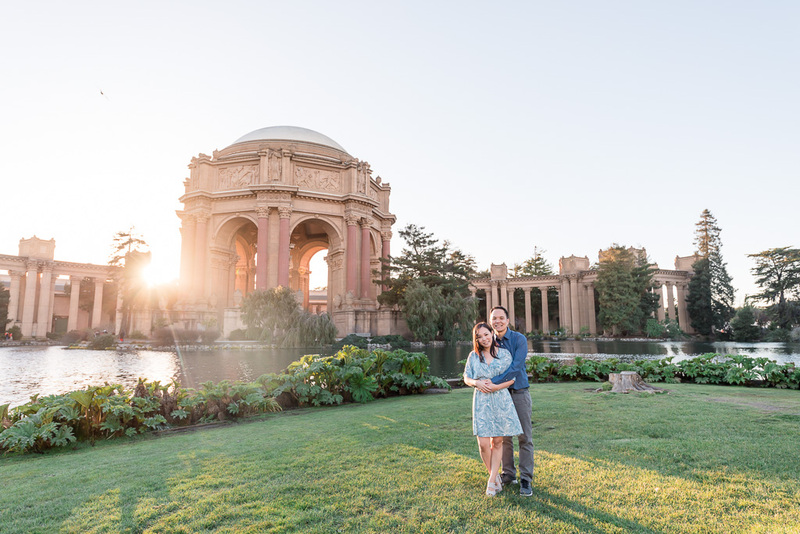 Lindsey and Colin first met more than a decade ago, and they recently took their second trip out to our lovely city of San Francisco. 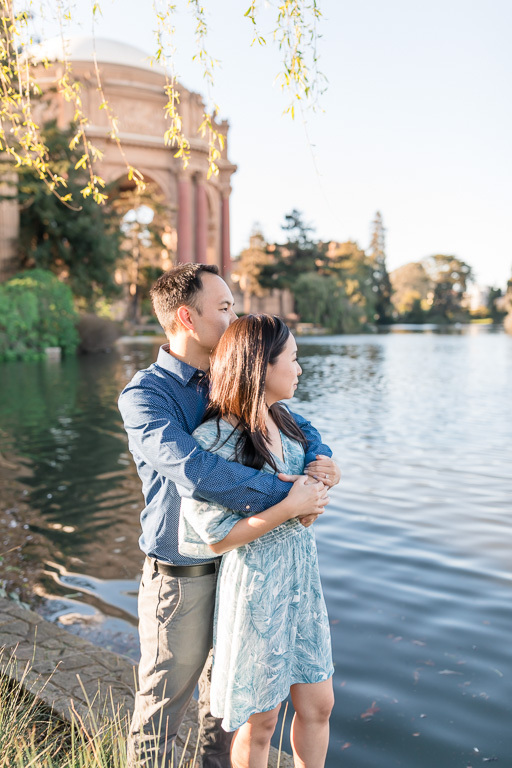 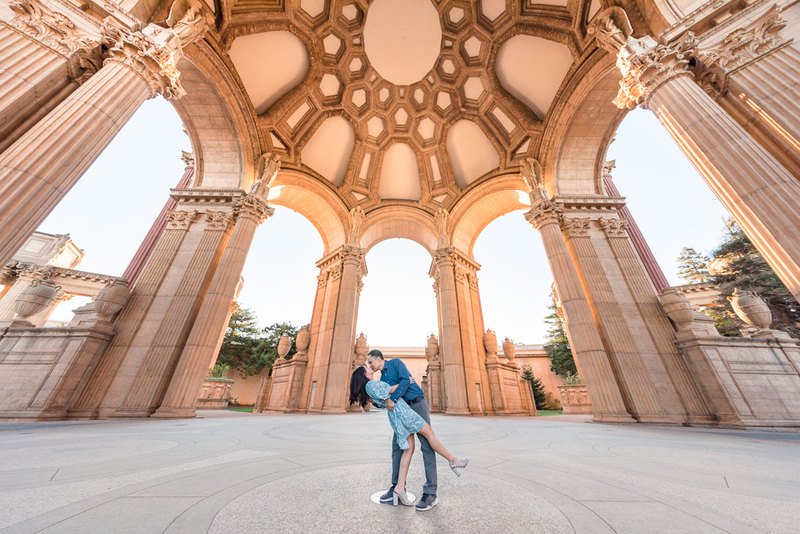 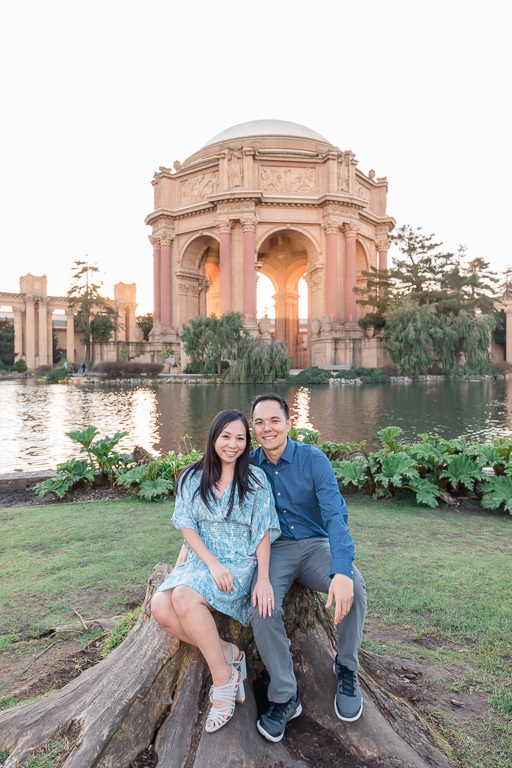 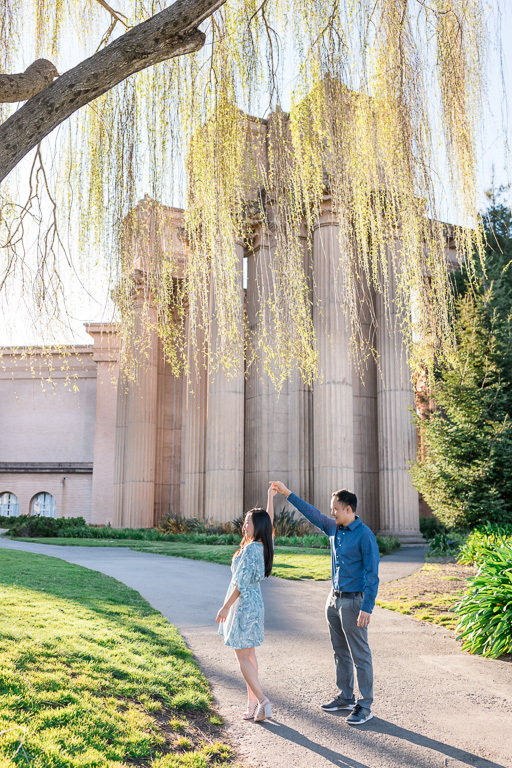 We met up on a beautiful afternoon for some wonderfully sunny Palace of Fine Arts engagement photos. 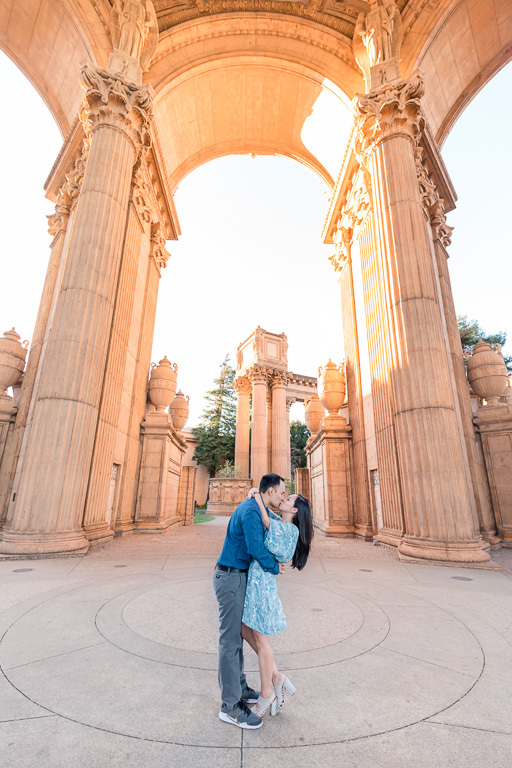 The light was just perfect and I was so happy to be going from spot to spot with them, sharing their joy and smiles under the golden sunlight. 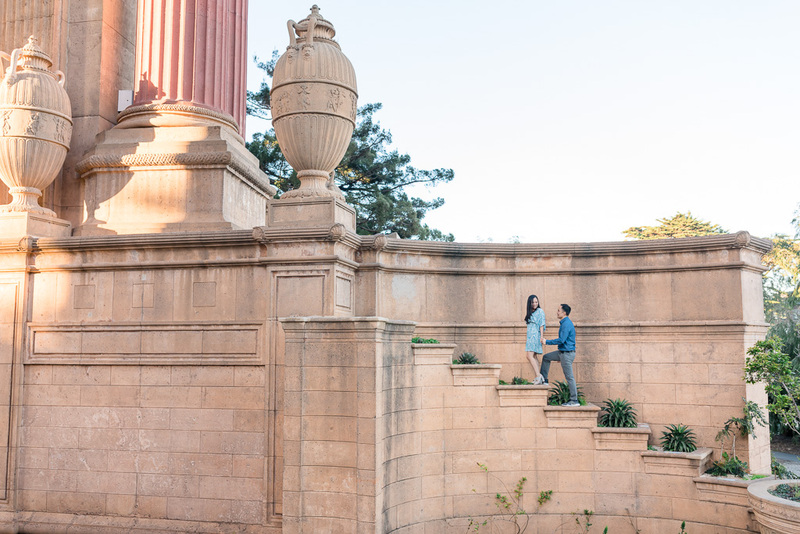 And as an added bonus, it was nearly empty that day — a pleasant surprise! 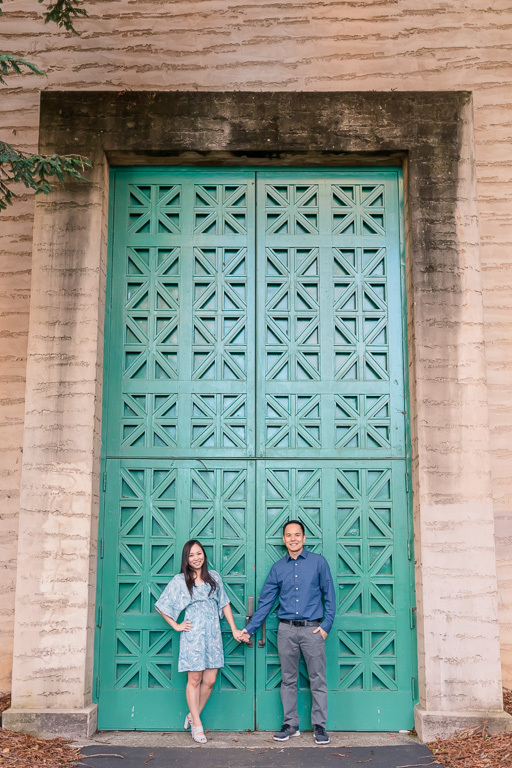 Lindsey & Colin are getting married in Hawaii at the absolutely gorgeous 19th century hotel where Colin works as a chef. 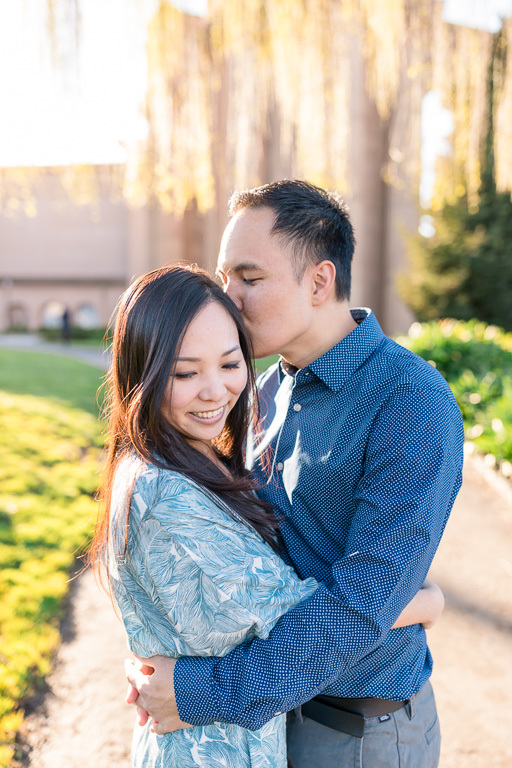 I’m sure their wedding is going to be incredible… and probably quite a culinary experience for their guests!